Place dandelion greens on individual serving plates and set aside. In a small bowl, combine the goat cheese, curry powder, salt, and turmeric. Heat the oil in a large nonstick skillet set over medium-high heat. Add the eggs and cook, stirring constantly, scraping the bottom of the pan with a heatproof spatula, until just cooked through, about 4 minutes. 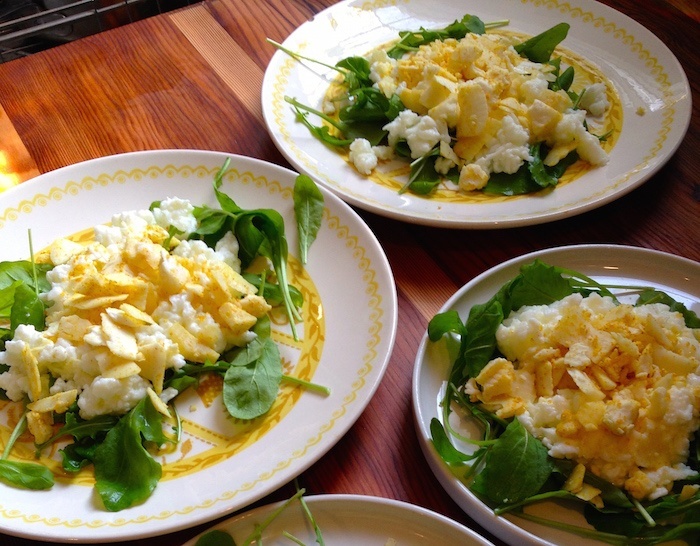 Spoon the eggs over the dandelion greens, top with the goat cheese mixture, and serve immediately.